Jeff Johnson does not typically plot lines of bass notes on each beat. No. He’s a musical surfer dude. Atop his fingerboard, he scans musical swells – open to possibilities, sensing movement. When the Zen is right, he fearlessly carves melodies in breaking sound waves. Leaning forward. Cutting left. Gliding. Dancing in the spray. With equal measure of instinct and intellect, it appears easy. In sync, in sound, inside the music. Johnson is not alone in the search. He finds other open minded collaborators along his path and builds deep musical relationships. Standouts include drummers Philly Joe Jones, Tad Britton, Billy Mintz, and John Bishop, saxophonist Hans Teuber, guitarist John Stowell, pianists Art Resnick, Randy Porter, Bill Anschell, and Hal Galper. Johnson was born on December 11, 1954 in Minneapolis. Guitar launched him musically at age nine. He worked the twin cities scene with his union card and an electric bass, playing six nights a week at age fifteen. At seventeen he joined saxophonist Irv Williams on a seven night a week gig at the St. Paul Hilton and tested his wings on upright bass. A mutual connection put Johnson in touch with Philly Joe Jones. “Joe sent me out to listen to you,” said a guy in the audience one night. In the fall of 1975, Johnson got the call to join Jones in Philadelphia. Starting in 1978, Johnson jumped from city to city. He answered a call to join the house band at a club called Bianca’s in Oklahoma City. Backing heavies like saxophonist Charlie Rouse and trumpeter Chet Baker, he stayed put for five years. Johnson struck up a musical relationship with drummer Tad Britton. “He was raw,” says Johnson, “but his mind was open.” They set up a four-track recording deck and jammed in the wee hours. Donning headphones, Britton played Simmons electric drums and Johnson plugged his electric bass directly into the recorder. Soft clicks and muted buzzing where the only whispers neighbors might hear in adjacent apartments. One night at the club, Johnson was smitten by an “older, stately, picturesque, southern woman” in the audience. He walked up to Marcy Wheeland, told her how beautiful she looked, and walked away. They eventually developed a warm relationship. “I was the spaceman. She was the earth woman,” says Johnson. “She brought me down to the ground.” They married. Johnson and Marcy moved to San Diego, California in 1985. Johnson made music with drummer Billy Mintz, saxophonists Jon Gross and Charles McPherson, and pianist Art Resnick. He bounced back and forth between San Diego and Austin to play with saxophonists Tony Campisi and Alex Coke. 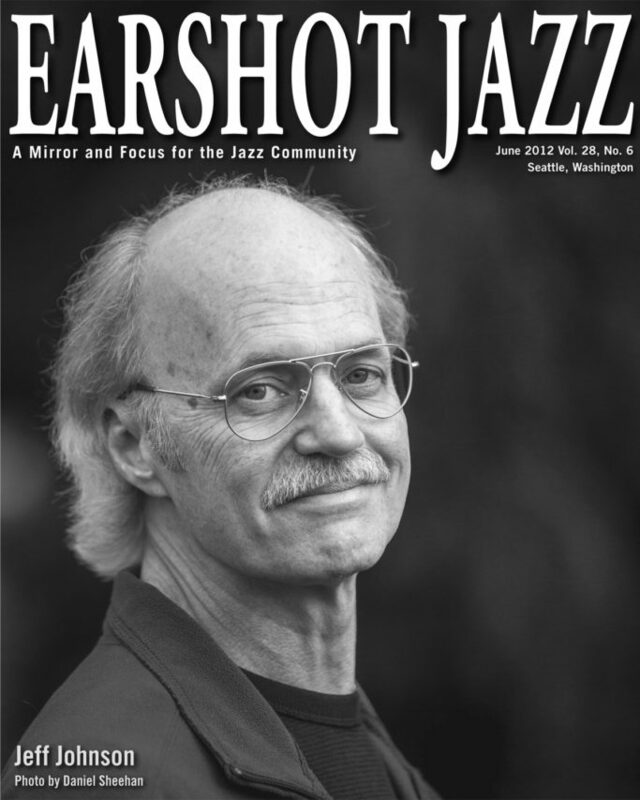 A road gig took Johnson through Seattle, home to one of his favorite longtime radio shows – Jazz After Hours hosted by Jim Wilke. Curious about the scene, Johnson wrote to Wilke asking for information. 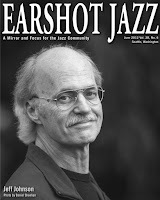 Wilke responded warmly and included the Earshot Jazz newsletter. Johnson relocated here in 1990. Johnson checked out the Monday night sessions at Prosito in Tacoma and met drummer John Bishop. After overcoming local resistance to new players, Johnson joined Bishop, harmonica player Jay Mabin, and guitarist Tom McElroy. The gig lasted five years. Another steady gig with Bishop started in 1993 on Tuesdays at the Old Town Ale House in Ballard. That lasted eight years. A third steady job started in 1995 at the Fremont Noodle House with pianist Jon Alberts and drummer Tad Britton, recently relocated from Oklahoma City. After five years the trio moved to Thaiku in Ballard. Ten years later they moved to the Copper Gate. And less tempo. Galper and Johnson both played free music in their formative years. Drummer John Bishop joined Galper and Johnson to improvise music that held together with chord progressions and phrasing, but tempo was optional. The musical palette mixes harmonic colors, melodic motion, and rhythmic density. The 2006 recording Furious Rubato documented the “intense, floating, up in the air” sound. “We are trying to make it vague,” says Galper. Johnson appears on more than fifty recordings – seven as a leader, seven with Hal Galper, six with Jessica Williams and thirty six with other artists. The Art of Falling, with saxophonist Hans Teuber, drummer Billy Mintz, and pianist Randy Porter, is one of his favorites because “everything came into place.” A new recording with Hal Galper will be released this fall. Johnson is also enthusiastic about a project in which he returns to electric bass with Teuber, pianist Steve Moore, and drummer Eric Eagle. Visit http://jazzbassist.com/ to read more about Jeff.